Fleet operators are continually seeking ways to reduce the cost of their operations. One of the leading costs is tire replacement. Until recently, each time a vehicle’s tire was ripped or severely damaged, the owner would simply buy a new tire to replace it. But with significant advances in tire retreading, many operators are now capitalizing on the newest technologies to keep their fleet’s tires in the ideal condition. 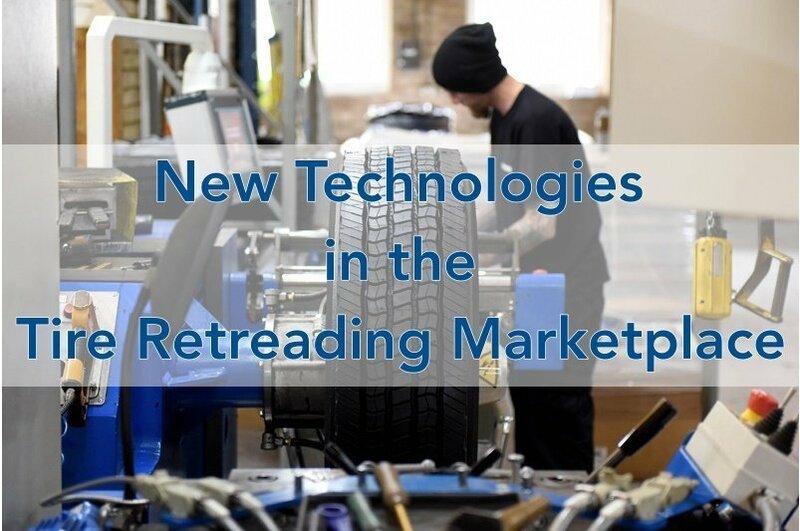 In this latest post, we’ll highlight some of the new technologies being deployed in the tire retreading marketplace. Many tire retreading firms are now using vulcanizing rubber to small cuts. The rip can be the result of debris on the road, scrubbing, or simply due to long-standing wear and tear on the tire. After inspecting the tear, the maintenance tech will clean out the affected area with a carbide cutter and then uses computer precision to control the extrusion of a single slab of uncured tread rubber, ensuring the proper coverage of the injury. This permanent repair work helps to extend the service life of the tire and minimize the cost of the tire investment for the fleet operator. A leading study concerning the tire retreading marketplace has recently shown that up to 30% of commercial truck tires in scrap yards across the country are repairable. This means it’s important that fleet owners have a clear understanding of which forms of damage can be repaired and which are unlikely to have a remaining service life. For example, a bulging tire can be repaired safely if the additional bulge in the tire material does not exceed 1cm in height. The data also shows that a new truck tire requires 22 gallons of oil for production. A retread requires about 7 gallons, significantly limiting the use of a finite resource. Knowing these details can save fleet managers from sending tires to scrap yards and spending big dollars on new tires when they can be safely retreaded at a much lower costs, similar lifetime and saving one more casing from the landfill. While some companies are now looking for cheaper tires produced by non-expert manufacturers, tire retreading has been shown to maximize tire life and to provide the highest levels of working tire safety on the road. It’s critical for professional tire retreading to take place for all retreading jobs. Even small tears in the rubber can lead to rust and inner material separation if the tear is not noted, cleaned and filled. Our experienced tire experts can help to guide you and your fleet business on the value of tire retreading in the modern marketplace. To discover more about the retreading industry and the many benefits retreading can bring to your business, visit our nearest STTC location to ask about retreading.